After Britney Spears had her husband's Ferrari towed, the pop princess flew to Vegas with friends and family for 24th birthday. 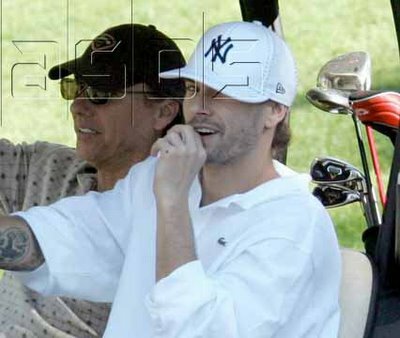 Mr. Federline was not invited to the party. Spears has reportedly kicked Federline out of their home and is wearing a skull and crossbones ring in place of her wedding band. Is it safe to say the marriage is over? Oh yeah....golfing with my Dad totally fixed my marriage as well.